Hong Kong has marvellous public transportation, especially the MTR (Mass Transit Railway) which whisks you away to wherever you want to go and there is always a train coming in two minutes. Then there are buses, ding-dings (street cars), ferries to other islands, and of course, the ubiquitous red taxis. There are cross-harbour underground tunnels, and massive bridges linking every section of Hong Kong to each other. 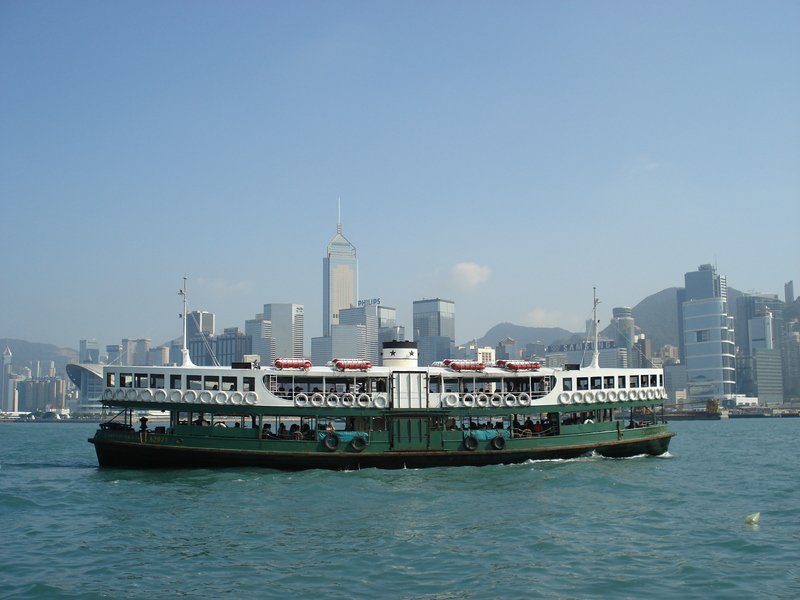 But my favourite form of transportation is actually the oldest in Hong Kong, and also makes the shortest trip: the Star Ferry which goes from Central on Hong Kong island across to Tsim Sha Tsui on the Kowloon peninsula. The ride takes roughly two minutes, and costs a mere HK $2.2 (about US $0.30). 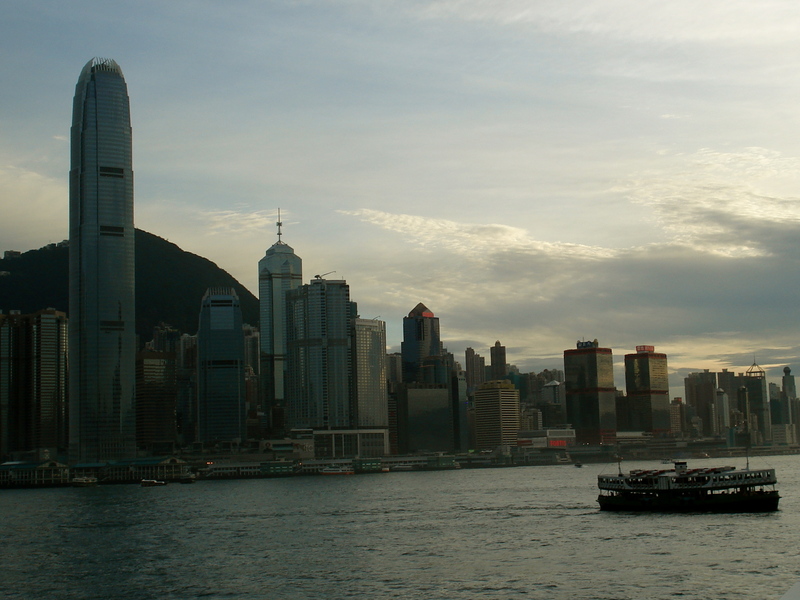 And though short, it is without a doubt something you absolutely must do when you come to Hong Kong. The boat is nothing fancy… just a green diesel-engine ferry with hard wooden seats. But its long body and open sides are what makes it special. From the Star Ferry, you get the most incredible views of the Victoria Harbour and it toots back and forth, every day, between the two sides. There are about a dozen Star Ferries, and they all have different star names: Morning Star (the very first ferry, which began plying this route way back in 1888), Night Star, Meridian Star, and so on. And I quite like the Star Ferry Pier itself — in a place that usually goes for out with the old and in with the new, the pier is pretty crappy and certainly nothing fancy, which really adds to the charm of the whole experience. 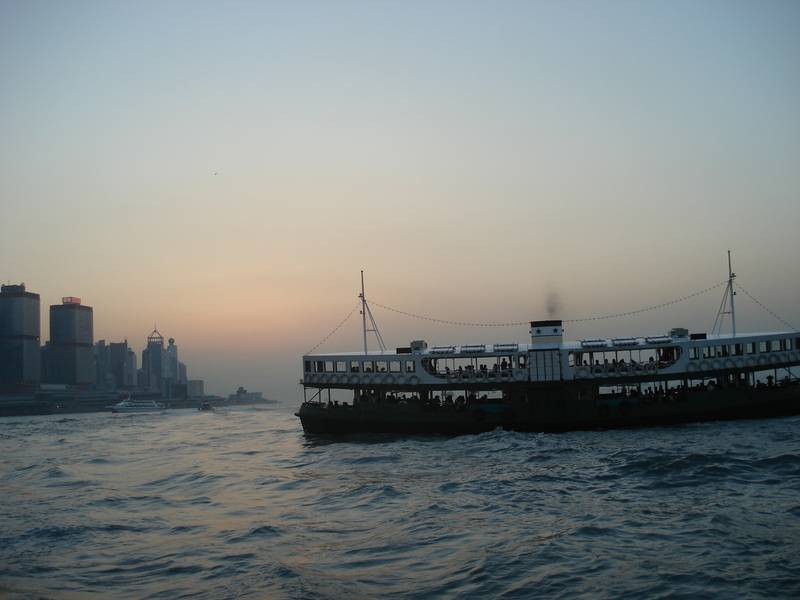 No matter what time of day, the Star Ferry has lots of passengers, most of them tourists. 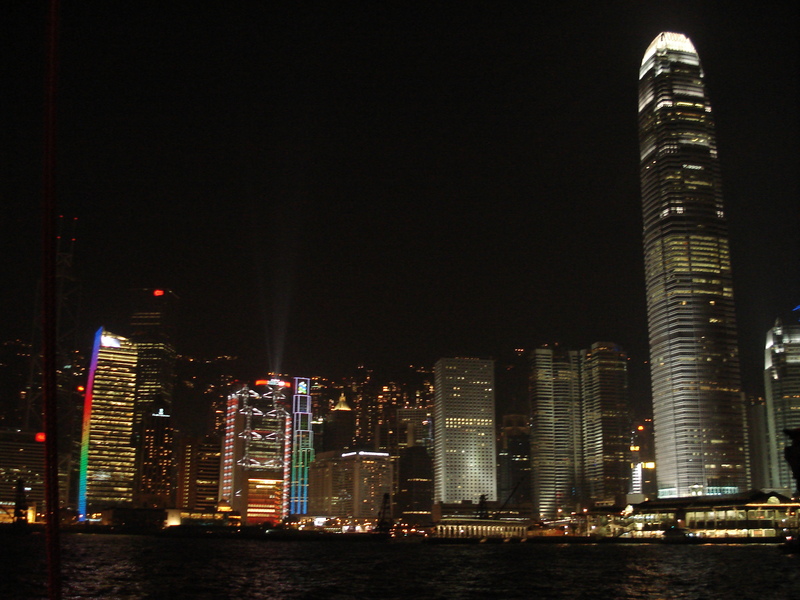 It has become a major attraction, and an icon of Hong Kong. 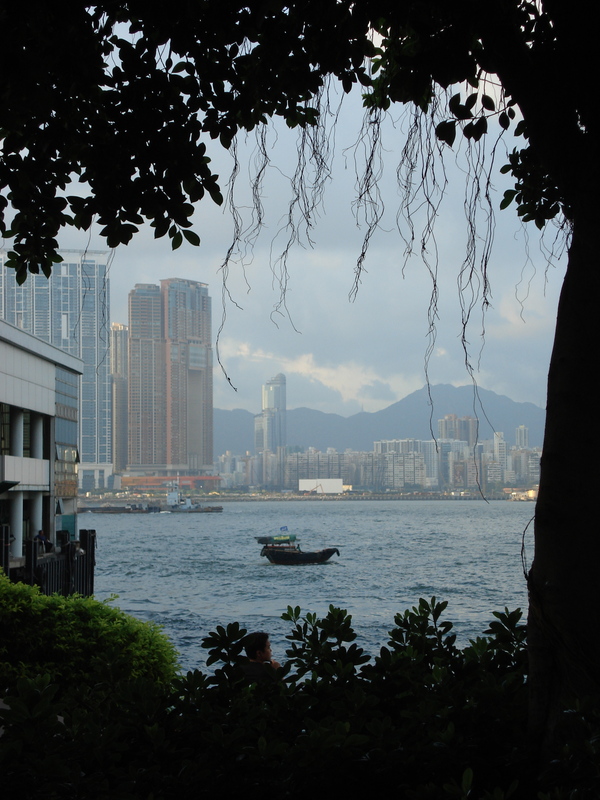 Any list of top-10 things to do in Hong Kong includes a trip across the harbour on the Star Ferry, and every friend who has come to visit has been taken on it too!